I love Free People everything, especially the dresses. Free People comes out with a new amazing dress style every season. So can we talk about the cutest dress from the most current Winter collection? I am absolutely in love!!! This dress is so comfortable. I love the cut and how amazing is this color? 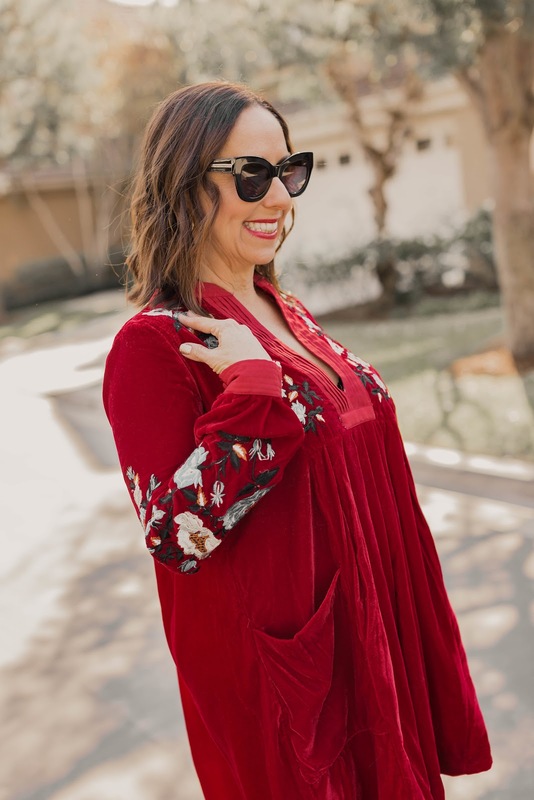 It was perfect for the holidays, but also can be worn all season long. I love red all year especially for Valentine's Day coming up. It's perfect. All you need to add is a great pair of booties like these, and a perfect red lip. How do you feel about Free People dresses? Do you have a favorite style? Thanks to Gabi Wells for photos. You can shop this look by clicking on the links above, and Happy Reading!!! !